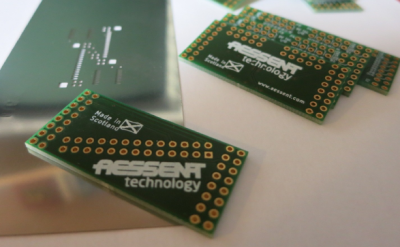 There's been a PCB bonanza through the post today at Aessent, with a raft of new daughter boards to the aes220 arriving by courier from Beta Layout in Ireland, including new voltage translator, freedom inertial sensor board, Pmod and Raspberry Pi GPIO modules. 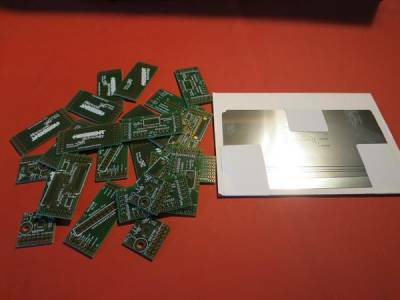 What best they are coming with stencils which make manufacturing a lot easier. So let's start with the introductions. 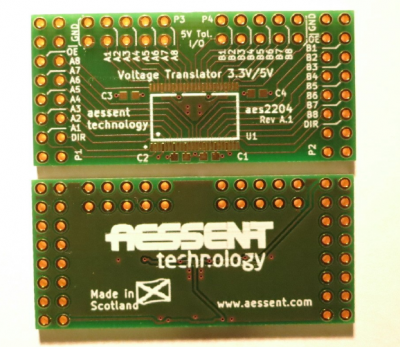 The aes2204 is a voltage translator allowing 5V logic circuits to connect to the aes220 FPGA (3.3V logic!). There are sixteen inputs and outputs divided into two banks. Each bank direction can be set independently and its outputs enabled or disabled. 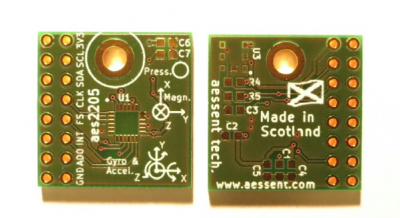 The aes2205 is a 10 axis of freedom inertial sensor board measuring only 2x2cm. It is based around the MPU-9150 9-axis motion tracking device from Invensense and the BMP180 pressure sensor from Bosch. Although our source for the Bosch sensor has dried up and the official resaler for the UK has not be forthcoming so far. At least at the prototyping stage it is not too costly if we have to design the part out in favour of another one.Communicating with the sensors is done via an I2C bus. There are options to provide an external clock to the MPU-9150, frame synchronisation and changing its I2C address, although this last option will go as there is no option to do the same with the pressure sensor. The MPU can also issue an interrupt signal when data is ready. Documentation for both sensors can be found here  and here . 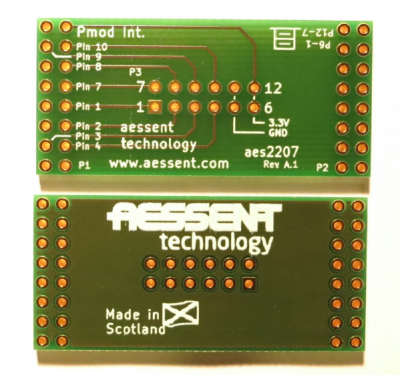 The aes2207 serves as an interface between Pmod modules and the aes220.It allows modules compatible with the 6 pin and 12 pin interface types to be connected to the aes220. I2C Pmod pinout is not supported. 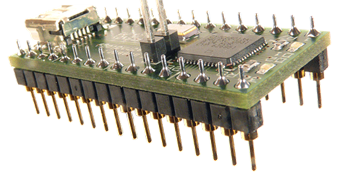 The pins not used for power are used for signals in and out and any of the interface types can be accommodated with an appropriate ucf file. Still need to get a Pmodule to test it. Any suggestions on which one? 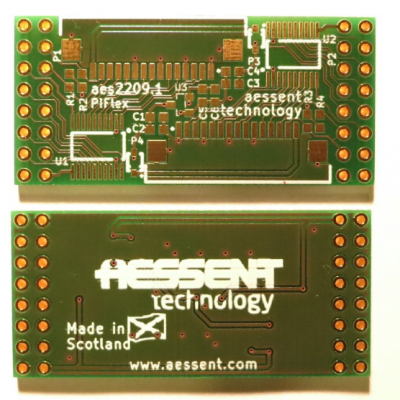 The aes2208 is an interface board to the Raspberry Pi GPIO port. It will connect to it via a ribbon cable. It gives the FPGA access to all the GPIO on the Pi (and vice e versa). The 5V pins can either provide the power to the aes220 or the other way round. 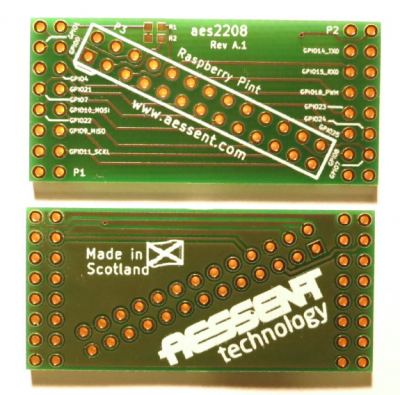 Finally the aes2209, another Raspberry Pi interface board but this time with the zero insertion force sockets on the Pi. Not entirely sure what the S2 socket is used for but the S5 socket is the connector linking the Pi to its camera module. With the aes2209 it will now be possible to interpose the FPGA between the camera and the Pi. Or simply connect the Pi Camera to the FPGA. There are two independent sockets on the aes2209 and it is possible to plug three aes2209 on the aes220. 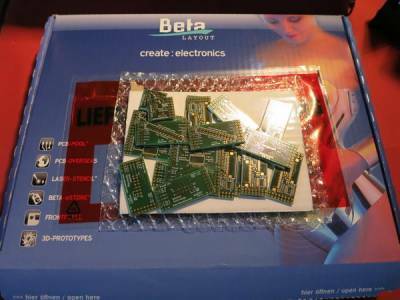 In theory that allows for six Pi cameras to be connected to the FPGA. Or maybe less cameras and still connect it to a Pi? The board takes care of the signal levels as the Camera module is working at 1.8V.